Cut every shape under the roof! 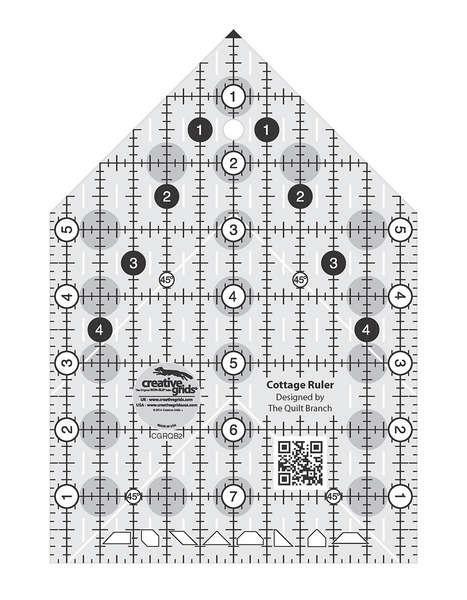 The Cottage Ruler cuts half-square triangles; quarter-square triangles; trapezoids;parallelograms; diamonds from squares & rectangles; cottageshapes and barn shapes fast, easy and accurately. Designedby Susan Knapp & Mary Jane Mattingly of the Quilt Branch.